If you want to improve on your television’s built-in speakers, which are likely to be terrible, there are a lot of ways to do it. The Sonos Beam soundbar is one of them, and starting today (until February 3rd), Amazon is reducing its cost to $349 for a savings of $50. The Beam is Sonos’ most affordable soundbar by a long shot, and it’s made just a bit cheaper by this deal. Its good looks and a few unique features make it worth considering over cheaper soundbars. First, it’s a smart speaker and soundbar rolled up into one that supports Alexa voice commands, and Google Assistant is slowly but surely on its way. Once it’s plugged into your television’s HDMI ARC port (most, but not all, recent TVs have one), Alexa can power your TV on and off, and you can easily control the volume of your TV right through this Sonos soundbar. Once you’ve got everything set up, the Beam sounds very good for its size. In two smaller living room spaces, the Beam more than filled the room, with excellent stereo separation and a surprising presence. 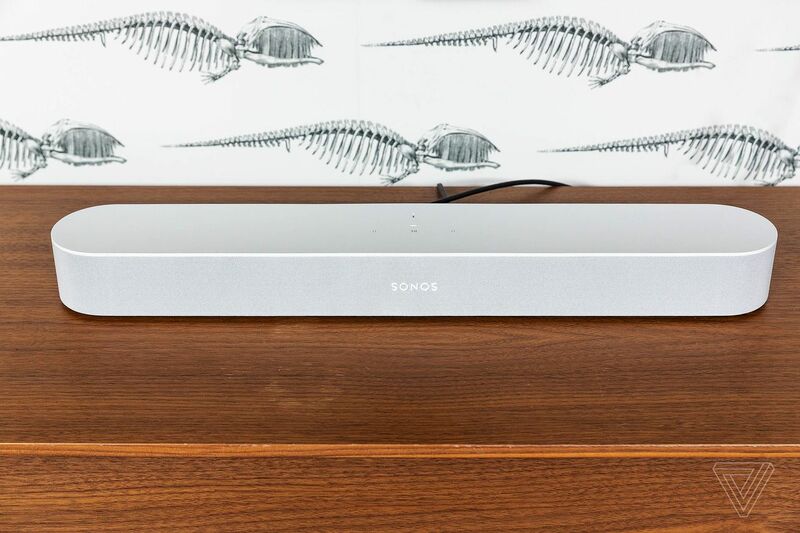 Sonos doesn’t claim the Beam is designed for anything larger than a medium-sized room, but it also did a fine job with general TV audio and music in a large open-plan living room. Given that this is a Sonos product, you can add other Sonos speakers to your setup for a more complete sound or for multiroom audio.